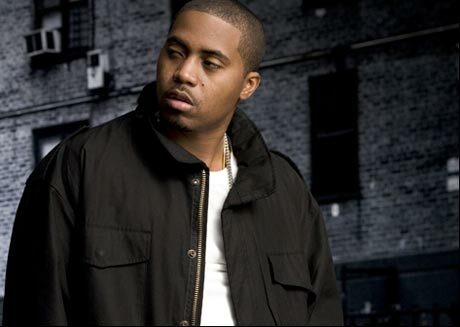 Following Nas's recent no-show in Newfoundland, promoter ODC Productions has emerged to reveal more details about the incident, which left a crowd of about 700 understandably angry and in search of refunds after the NYC rapper failed to perform. As previously reported, police were called in to calm an unruly mob of angry concertgoers at the Jack Byrne Arena in Torbay, Newfoundland, just outside St. John's, on May 28. Despite Nas being slated as the night's headliner, the MC didn't take the stage after discovering that the promoters didn't have enough money to pay his $47,000 fee. Nas has since put the blame on what he calls "janky promoters" who still needed to "learn about being professional." However, in an interview with Exclaim!, ODC Productions head Craig Cantwell said his company has been cleared of any wrongdoing by the Substance Entertainment Group, the Toronto-based company serving as the booking agent for Nas. According to Cantwell, it's Halifax promoter Lux Entertainment that is to blame. "It's this Halifax-based company that screwed everyone," Cantwell told Exclaim! "Nas's booking agents are holding them responsible. They actually showed up to the airport [in St. John's] and they didn't have enough money to pay Nas. We were all at the stadium waiting for Nas unaware of the situation." Cantwell says ODC paid Nas about half his fee, and that he thought Lux had paid the rest. However, he said Lux failed to come up with the cash, and that's why Nas decided to call off his performance. "The thing that is surprising me so much is that [Lux has] done concerts before," Cantwell says. "They did T-Pain and Raekwon in Halifax, and they've done other stuff. I've heard stories about them being shady and whatnot, but they have done legit things. Their plan, I guess, was to come here and do a concert without investing. My money went towards Nas as a down payment, and they were supposed to pay the rest. But they didn't pay it because they were just hoping for ticket sales to pay all the expenses and to pay for Nas, and split the profit with me." Since the May 28 show, Cantwell says the folks of Lux Entertainment are nowhere to be found and haven't returned his calls since the night of the concert. As far as refunds go, Cantwell explains that there is no way to offer them, despite tickets going for $59.99 plus tax or $100 for VIP. "There is no money to give anyone," Cantwell says. "I had to take extra money out of my own pocket to pay expenses during the concert. I had to pay security the next day right out of my own pocket. I mean, I had to get a cash advance on my credit card. I'm just a full-time student who tried to do something with a legit company, which didn't really work out right. I personally lost $30,000 in this. "And it's a bad situation for everybody because we can't offer refunds. I've been doing damage control and calling sponsors and answering hundreds and hundreds of question. And Lux can answer any of these questions in their defence, but they're nowhere to be found. "At the end of the day, I'm still out a lot of money and Nas didn't get on stage. I can look at legal action, but I don't know how far that will get me, really."